Upper India Special Castings Ltd. (UISCL) is one of the leading steel foundries having a capacity to produce 3000 tons of castings per annum. Its has ISO 9001: 2008 accreditation from RWTUV. It also has the Works Approval AD-Merkblatt W O / TRD 100 from RWTUV Germany. 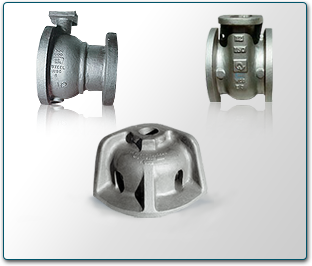 It produces Castings in all metallurgies of Steel, Alloy Steel and Stainless Steel. By constant upgradation of technology and equipments UISCL is fully geared to meet the challenges of the 21st Century and provide Quality Castings at competitive prices and timely deliveries for achieving customer satisfaction.In addition to the supply of Quality Castings in the Domestic sector, the company has commenced Direct Export of castings to the European Union and North America. Heavy Earth Moving Equipment castings. LUDHIANA - 141010, PUNJAB (INDIA).